Eggplant is a long season crop. The mother lode of eggplant does not arrive here until late August. If the weather stays warm and mild, nights not too chilled, we can pick until Thanksgiving. Considering that the seeds were sown indoors in late March, that’s a long season. If the weather stays friendly, patience pays off. We have mountains of eggplant. You may enjoy the same experience. This is when you begin to wonder what in the world you will do with it all. Consider freezing eggplant puree to use through the winter. I had never heard of pureeing eggplant until someone suggested I make baba ghanoush, a Mediterranean dip served with pieces pita or flat bread. The thought of it was foreign to me but the love affair began when it was served to me at an Israeli wedding reception. Pureed eggplant carries all the flavor and richness of the late summer harvest, has many uses, and freezes easily. Preserve some of your eggplant harvest in puree form. Collect a few flavor-packed recipes for using the puree. Enjoy the taste of summer all winter long. Pureeing eggplant is so simple and it takes relatively little time to execute. This could become one of your favorite food preservation projects. Here’s the scoop. Select firm, freshly picked eggplant. As with most vegetables, the flavor is at peak when the eggplant is not overgrown. If the color of the skin is beginning to fade, the eggplant has been on the plant too long. If you are buying eggplant from the market, you want ones that are shiny and firm. For this project choose eggplants that are medium sized, not too large. Wash and dry the eggplants. Remove the caps and prick with a fork in several places. Place the eggplant on a lightly oiled baking sheet and pop into a 350 degree oven. Depending on how large the eggplants are and depending on how many you have placed on your baking sheet, the cooking time will vary. Start checking for doneness at about 40 minutes. The eggplant should be soft all the way through. If you have several eggplant of different sizes, you could be pulling baked eggplant out of the over for the next 20 minutes or so. When the eggplant is soft, remove it from the oven. Allow the eggplants to cool enough for easy handling then cut them in half. Scoop the soft flesh from the halves or peel the skin away from the flesh, whichever seems to work the best for you. If you want your puree to be as white as possible, scoop out all the seeds you can from the eggplant flesh. Personally, I keep those seeds where they are. They are carrying nutrients. Dark puree is no problem in this household. Run the eggplant through a food processor until it is smooth and creamy. It is ready to be used in a variety of ways. Freeze the puree in containers holding the amounts you need for specific recipes. If you need 2 cups for an eggplant soup you can just thaw out the two cups and have no waste. If you are using a container, leave about a half inch of headroom in the container for expansion. You do not want the freezing puree to blow the top off the container because it did not have enough room. If you are using freezer bags, take care not to over-stuff the bag. Freeze it flat to conserve freezer space. Here are a few links to some stunning ideas for using pureed eggplant. They range from soup and dips to spreads, salads, and sauces for main dishes. 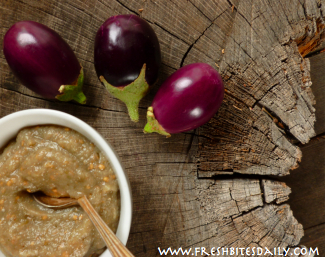 If you have not yet explored the world of pureed eggplant, you are in for an exciting journey. 2 Comments on "How to make and USE eggplant puree. Your blueprint." We love eggplant at our house and have it in the garden, but I’ve never tried this. I’ll be doing this tomorrow!! 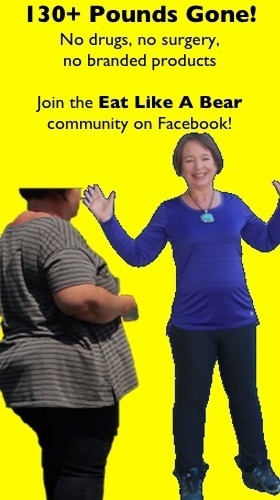 And I’ll be sharing this great post on my facebook page.